What Is the Difference between a State and a Province? States within the US are required to follow federal law, whereas China's provinces can accept or reject requests from the central government. A map of the provinces in China. China's provinces retain a greater level of control over their internal affairs than do the states in the US. 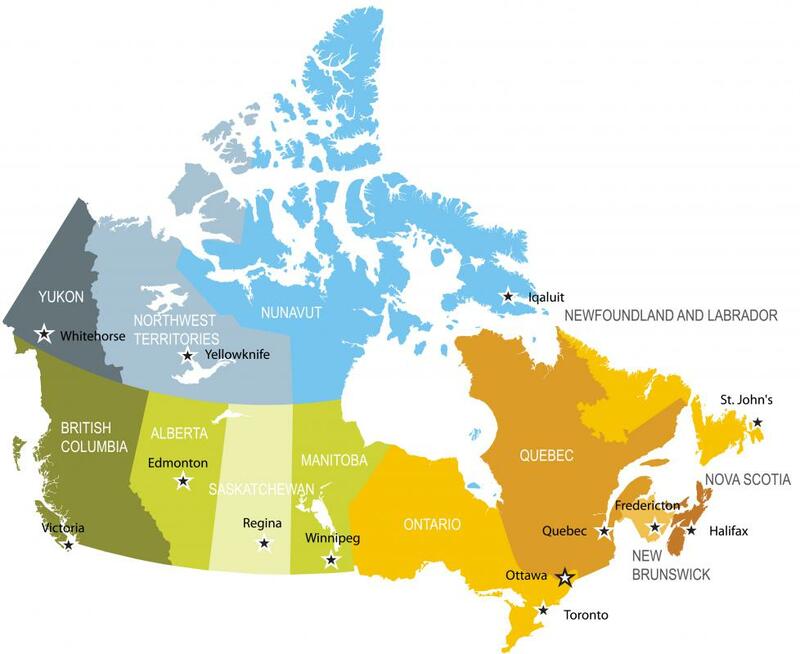 Canada has provinces rather than states as its political subdivision. The easiest way to illustrate the difference between a state and a province is to compare the governmental authority and geographical organization of two countries, one with each type of system. For purposes of this comparison, we will use China as our example of a province structure and the United States of America as our example of a state structure. It is important to note that states and provinces in each country are not the same. There can be significant differences between state structures in two countries. Their level of authority and function in relation to the federal government can vary significantly. It is therefore best to understand these systems in the context of the country in which they exist. Small geographic divisions like provinces and states derive many of their rights and laws from the central or federal government that operates for the benefit of all citizens across the country. However, one minor difference we find is that provinces in China retain much more control over their internal matters than do the states in the USA system. Aside from Taiwan, which is a special case, the remaining provinces may very well take into consideration much of what the central government wants done, but can also reject it. The real power comes from the Central Committee, to which the governor of every province must be accountable, rather than to the federal government. It should be noted that there tends to be more appointments in this particular form of organization in China and less in the way of elected officials. When it comes to lawmaking, states in the USA do not have the option of passing and enforcing legislation that contradicts federal laws. When a state law is understood by some to be in direct conflict with federal law, due process through a judicial system allows for the matter to be reviewed and the state law rendered null and void if it is judged to be in conflict with federal law. This does not happen often, since so many of the persons who represent the interests of each state at the federal level are elected and are expected to be actively engaged in the formulation of federal laws that does not compromise the well-being of any state. Again, the exact relationship of a province or a state to its federal or central government would vary in form and structure from one country to another. 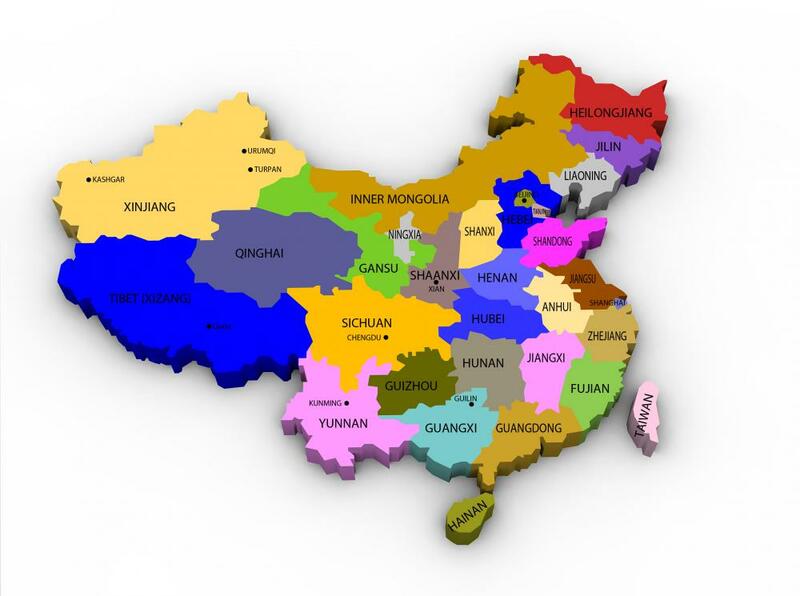 For example, what is true of provinces in China are not necessarily true of provinces in Canada. Depending on the countries compared, there may be no differences between state organization and province structure at all. What Should I Know About Vatican City? 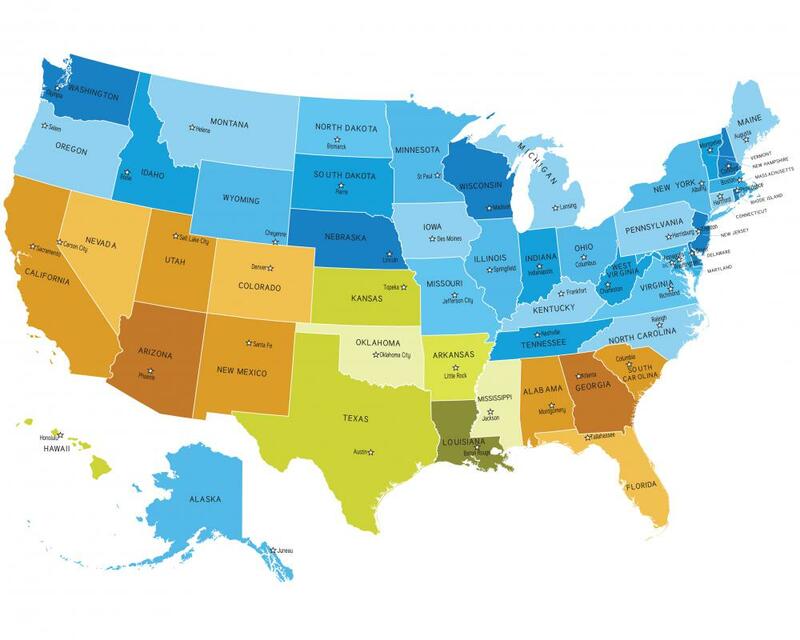 Do All States Have a State Income Tax? In Indonesia, we have a unitary republic, but with an additional variation. The province is governed by a Governor who is elected directly by the people in that province: one man one vote, The governor cannot be fired by the President/Central Government. The governor answers to and can be impeach by the Provincials People's Representative Assembly, to which all the members, proportional to number of residents/population, are elected directly (one man one vote) by the people. territory (resident and non resident). All branches of the central government, such as provincial head of ministry of transportation, minister of education, etc., are under the administration of or subordinate to the governor and work for the governor except for the armed forces, police, and district attorney. They work for and answer to the Central Government. So its a combine of Federal-Unitary, actually. Nowadays, Indonesia is one of the most democratic countries in terms of governing and to elect government. We choose directly, by one man, one vote, our president, representatives, senator, governor, mayor, regent, provincial people rep assembly, city and regency council. We do not use the electoral college or representative vote for president, because the basic philosophy is government by the people and for the people, not for states or province. The President governs humans, not the land or the sea. The human is the one to be govern. So regardless of how big the territory is, it does not matter. The number of humans living there is the important thing. In Afghanistan, as the administrative systems is provincial here, we have twofold governmental system, a central presidential and local governance department. The central government consists of the Parliament, judicial and executive that is ruled by the president selected by nation, the local governance department is in charge of deploying governors, municipals and district governors for provinces and they should report to the head local governance. The bicameral legislative consists of the house of lords and house of representatives, and the members of the lower house are divided according to the population of each province representing their province in Parliament. Provinces have no internal autonomy. Laws are made by the legislative and cabinet branches headed by the president, who is also able to make some principle rules for the whole country. In the provincial system, there are premiers, right? They are in charge and responsible for their province, and they are expected to see to the needs and wants of the residents. This is the system that we use in South Africa, where a national party is elected by the nation, and not necessarily the president. There are many political parties here, with the ANC being the most dominant throughout the country, meaning, even in the provincial leadership elections, the ANC will win eight out of nine provinces. ANC has power on. What happens is that, whatever happens in each province, it must have a common governance, and the president has the power to hire and fire any premier through a set of channels. Of course, regarding Ankara, when electing a leader, people often vote for the political party and not so much the candidate. This is baloney. At least in the US, a state is independent, and a province is not. State governors in the USA do not report to the federal government at all. They are the elected leaders of their state. States can and do pass laws that conflict with federal laws. Sometimes these laws are challenged, and sometimes not. A US state is much more independent than a Chinese (or Canadian) province. The president of the US cannot fire a governor, nor does he pay their wages. The federal government is a completely separate system that is only in charge of things that happen between states. @turkay1-- Governors in the US states also belong to a political party, they're either Democratic or Republican. The difference from a provincial system is that there isn't much party politics involved when it comes to representing constituents in the American system. I also think that in many countries that have a provincial system rather than a state system, there are more significant ethnic, religious and cultural differences between the provinces. Just look at Afghanistan-- people in different provinces speak different languages, are from a different ethnic groups and have differing norms. @ankara-- Like the article mentioned, it really depends on the country and the kind of governance system they have there. Not every provincial system works the same. But as an example, I can tell you about the provincial system in Armenia, which I know about because I stayed there for a while. In Armenia, there is a governor for each province who is appointed and who answers to the Ministry of Territorial Administration, who then answers to the Prime Minister. Since the governors are appointed and not elected, they represent the interests of their political party. Politicians in Armenia belong to different political parties. So it's a complicated system and has some significant differences from the U.S. In the United States, we elect state representatives in our states to represent us in the federal government. Do countries with provincial systems do the same? I understand that there is a governor in each province, but do the governors represent their province and the interests of residents?